Replace your regular lightbulbs with full spectrum lightbulbs and enjoy summer sun all year round. Glare-free light from Chromalux full spectrum lightbulbs reduces eye strain and creates a pleasing and relaxing environment. You will notice increased visual acuity, greater eye comfort, and less fatigue when you use these lightbulbs in your home. Ideal for reading, writing, studying, crafts, sewing, and workshop use. Doctor recommended for anyone who suffers from seasonal affective disorder. 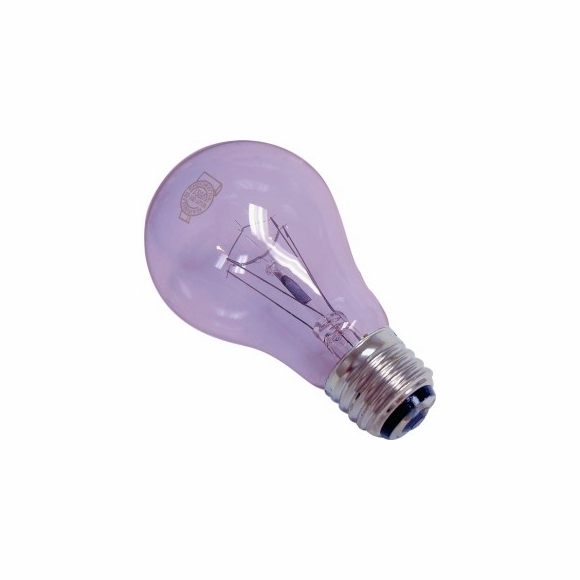 Chromalux full spectrum incandescent light bulbs are made of a special hand-blown glass that is not colored or coated, but instead contain a rare earth element, neodymium. This element absorbs yellow and other dulling components of the spectrum and produces a purified light that is whiter and brighter than light obtained from standard bulbs. The light enhances black and white on written pages and makes colors appear more accurately. A19 type 60 watt lightbulbs are clear and burn an average of 5,000 hours. 120V for U.S. and Canadian fixtures. Please note we are now shipping new energy efficient bulbs that use 53 watts and burn an average of 4,000 hours. A Comfort House customer favorite for over 20 years.